I’ve tried and tested many recipes, some work well and others just don’t, but I recommend to always find a good balance between sweet fruits and nutritious vegetables. Here are 6 recipe ideas for delicious and nutritious breakfast juices. They will give you that much needed energy boost in the morning when you most need it. I’ve learned to really appreciate the flavors of beets and often try new juice and green smoothie recipes with beets as a key ingredient. Beets are loaded with essential nutrients such as folate, potassium, iron and vitamin C, but most of all, they give you that instant energy boost. Which is why beetroot juice is my go-to drink before I do my workouts. Beets have a naturally sweet and earthy taste that blends perfectly with the powerful flavors of lemon and ginger. The cucumber in this recipe at Inspired Taste adds mineral-rich water, keeping the flavors well in place. 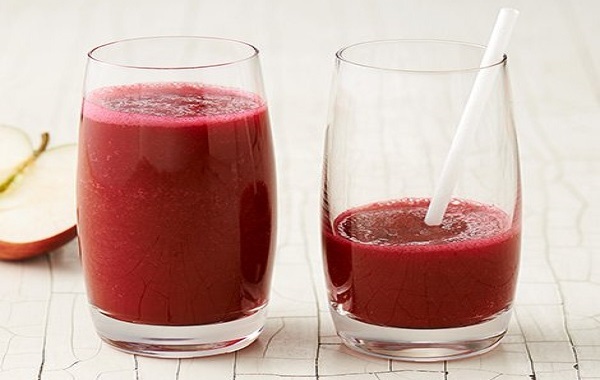 There really is no need to add more fruits to this recipe as the beets already bring in enough sweetness to your juice. It’s always tempting to throw sweet fruits in your juicer as we all love a delicious drink with lots of sweet, fruity flavors. But we shouldn’t ignore greens as they provide us with the most nutrients. The trick is to get the balance right between flavor and nutrients. 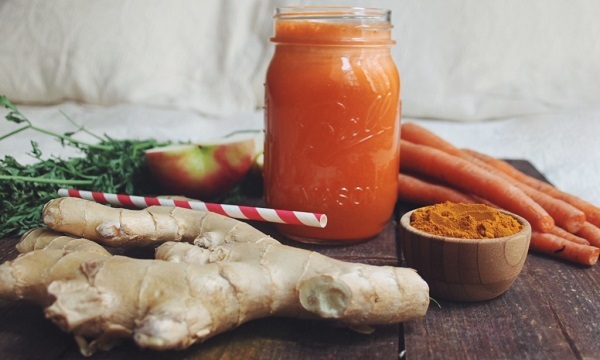 The Holistic Chef has created a super nutritious juice recipe that also has the best flavors. It contains a good variety of different types of greens, such as kale, spinach and celery, mixed up with a bunch of green apples, yum! I’ve tried it several times now and it’s amazing. The portion sizes in this recipe are big, so you can store the juice in your Refrigerator for a few days. The deep pink color of this energizing breakfast juice is to die for. Beetroot is certainly not the easiest ingredient to juice as it often requires a bit of manual work. But the amazing health benefits of this red vegetable make it all worthwhile. 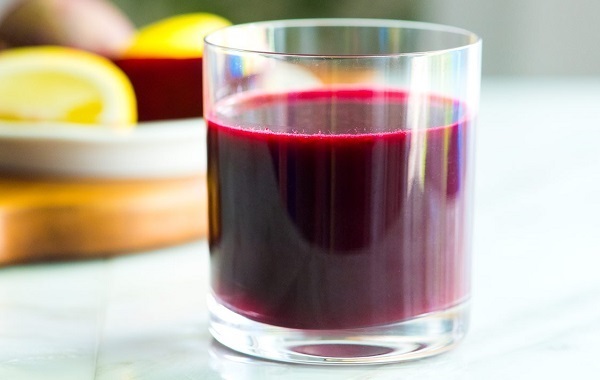 The added ginger gives this juice extra flavor that works well with the sweetness of the beetroot and apples. Drizzle and Dip have created this simple yet very potent juice recipe that you should drink slowly to really enjoy. The foamy layer on top makes you think you’re actually drinking a bright-colored cappuccino! One of my favorite spices is turmeric, not just because of its rich flavors, but more so because of its amazing health benefits. If you don’t really include turmeric very often in your diet, you’re missing out on a lot of goodness. In that case, I strongly recommend taking turmeric supplements. Ginger is another one of my favorite ingredients to add to my juices as it’s simply the easiest way to enjoy its health benefits. The Breakfast Criminals have come up with a very unique and tasty juice recipe that contains both turmeric and ginger, mixed with apples and carrots. If you can replace your morning orange juice with this nutritional powerhouse drink, your day just can’t go wrong. This energizing juice recipe by Linda Wagner has an amazingly refreshing taste that will make you want to keep drinking it the whole day. Loaded with fat burning fruits and vegetables, this juice will give your metabolism a huge boost. 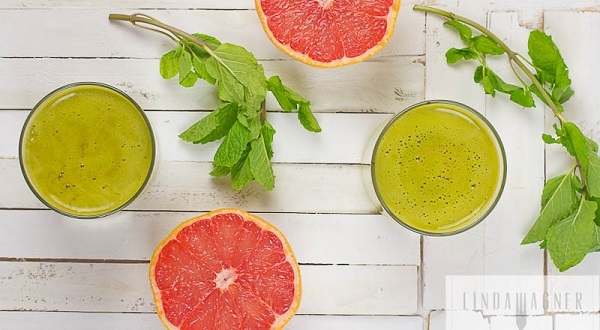 The fresh mint in this recipe mixes really well with the powerful grapefruit and oranges, and the romaine lettuce adds a bit of green goodness without affecting the flavors too much. This original breakfast zinger juice recipe by Vitamix is technically a green smoothie recipe using a blender, but you can just as easily try it out with your juicer. The rich blend of energizing fruits and veggies in this delicious drink will keep you going for many hours after you drink it as your breakfast in the morning. The coconut water is optional, but works surprisingly well with the dominant flavors of the lemons and beets. Thanks so much Sean, and yes I’d have to agree, the ultimate green juice is my favorite too!